By nature, I’m a curious person and always looking at innovations outside of the water industry for inspiration in my daily work. I recently came across an article talking about how AT&T was embracing the idea of the Internet of Things, and it was a real eye-opener on how technology is evolving in our unseen daily interactions aside from iphones and tablets. 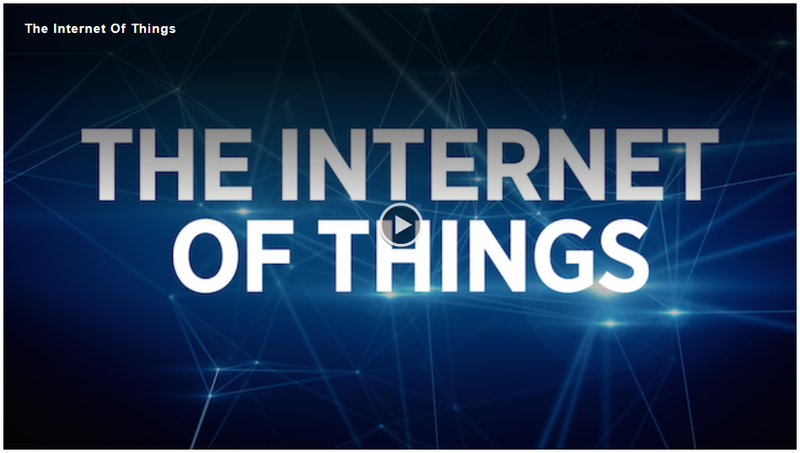 The Internet of Things (IoT for short) is essentially a digitization of the physical world. Simply put, it is the concept of connecting any device with an on/off switch to the Internet so that the devices can communicate with each other. With the idea of IoT on the rise, it is estimated that by 2020 there will be 26 billion connected devices. The goal for the future is that anything that can be connected, will be connected. For example, your GPS detects that there’s more traffic than usual, so it notifies your alarm clock to wake you up earlier. With this expansion of technology, it creates a whole new realm of opportunity. This advancement can bring great financial and environmental benefits to various outlets, ranging from factory operation and equipment optimization to things such as public health, navigation, and urban transportation. And while there are questions of security related to personal information being collected and connected to billions of other devices across the globe, the benefits definitely outweigh the concerns. These capabilities allow for both people and things to be continuously tracked in order to reach optimization. Tracking can improve inefficiencies and minimize wasted resources and energy, and the ultimate goal is to use this advanced technology to come up with new concepts that people need, as well as reduce waste. In the works right now are ideas like a trashcan that can signal when it needs to be emptied and a device that helps travelers track lost suitcases. So how can the water industry embrace these technologies? IoT can be used in order to provide more efficient water reuse, desalination, wastewater operations and bio-energy production. With open collaboration models, water companies can easily work with businesses developing innovative technologies and work together in the areas of water treatment and distribution, wastewater treatment and collection, and biosolids management. This type of collaboration has already been successful in the context of smart grid technology, helping to manage and modify water utility energy use. Working with partners like ENBALA, water utilities can manage energy use instantaneously and help the electric system operators keep the electric grid in balance. As more connections are made, and the “us” of IoT evolves, companies around the world will be able to engage in less wasteful practices as well as work to develop technologies that can make life easier and more efficient for all of us. I can’t wait to see what lies ahead, and look forward to seeing breakthroughs from within the water industry and our collective partners. Great article Dr. Mark, I enjoy reading how we can try and innovate and implement these new concepts into our day to day water and wastewater operations to benefit the end user. Excellent article. There are many new technologies developed for the water industry, and I agree, the internet of things, or IOT, is especially suited for water-tech. 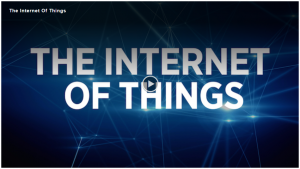 One issue with it, beyond those you have capably outlined, is how to market them, especially since IOT tends to be invisible, behind-the-scenes technology. IOT for water-tech will need all the help it can get in marketing it to a wide range of stakeholders from varying backgrounds, including the “general public”. It’s a very useful tool, and worth consideration in any overall efforts to sell these technologies.